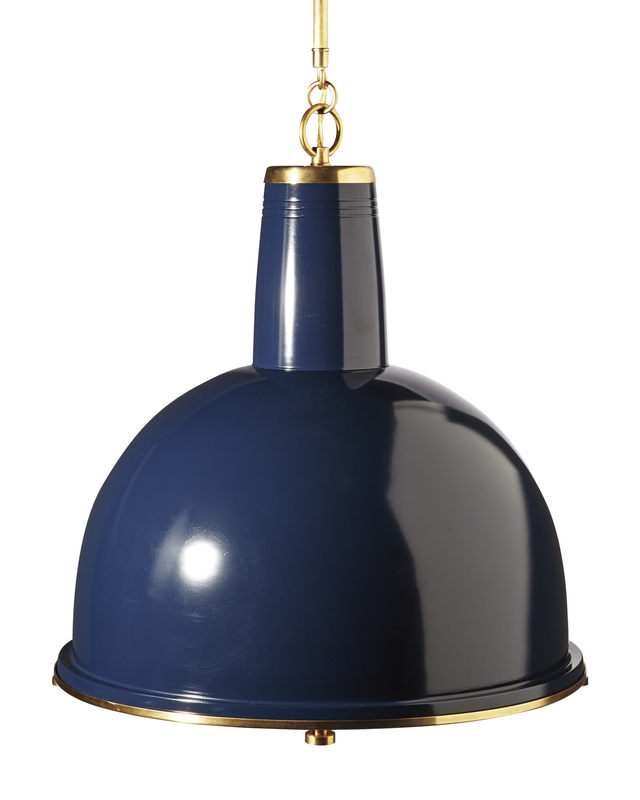 Melrose PendantMelrose Pendant, Navy alt="Melrose Pendant, Navy"
Print Clean, modern, and sized for drama, this feels right at home in a kitchen or dining room. The metal bolts are a nice design detail – a touch of industrial chic. 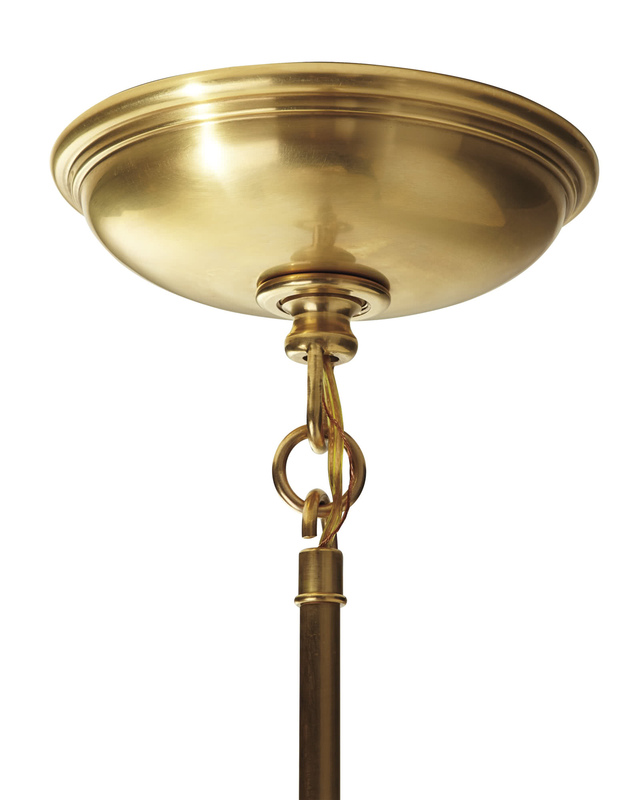 Crafted of brass and glass with painted finish. 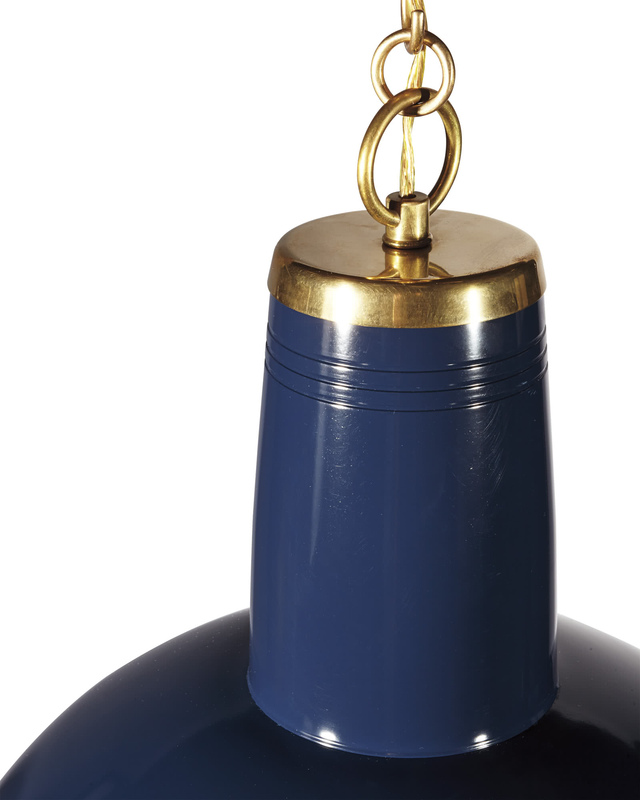 White, Green and Navy feature brass details; Canary, Fog and Yellow feature bronze details. Hand-rubbed antique brass ceiling plate. Uses a Type A Bulb, 100W max. Avoid abrasive cleaners to protect the finish.